Hand care creams Our silky formula soothes hands on contact and creates an emollient barrier. An exclusive skin brightening hand creams improves tone and clarity while visibly diminishing age spots. Our nutrient-rich protects and helps driest skin. Apply our hand treatment with massage to help improve circulation. Italian cosmetic manufacturer supplier. 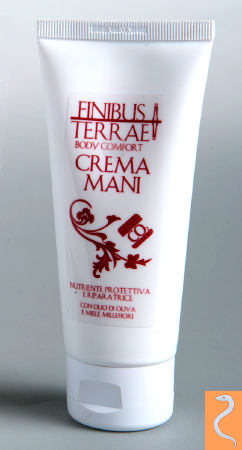 Thanks to oils and vegetable butters rich in essential fatty acids, vitamins and antioxidant , the Finibus Terrae Hand Cream deeply nourishes the skin and helps to make the skin of your hands smooth and elastic, eliminating the feeling of dryness due to use of detergents, manual labor and strenuous action of atmospheric agents . With this treatment, the hands appear younger and well-maintained. The proteins of the wheat and wildflower honey contribute to natural regeneration and deep hydration of the skin tissue , even when this is particularly arid due to stress and external agents. The result is a soft and renewed skin of the hands reddened but not beautiful natural color . 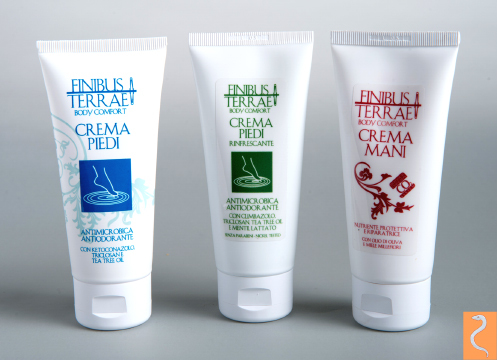 USE SPECIFICATIONS: After washing your hands thoroughly , applied several times a day Finibus Terrae Hand Cream , using a gentle massage. 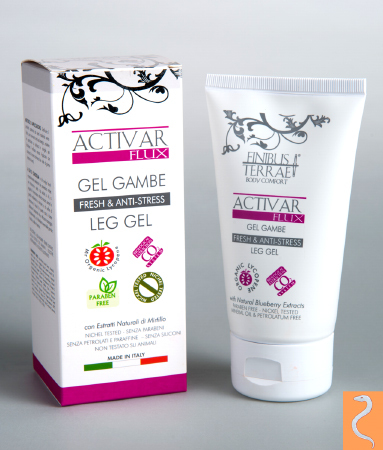 ACTIVAR LEG GEL FLUX is a cosmetic aid in the symptomatic treatment of heaviness , tension, soreness and fatigue of the lower limbs. - Often in the legs, swollen, sore and tired. ITALIAN RICH FORMULA, rich in anthocyanins, caffeine and escin has an effective antioxidant, protective and tonic on vessels leaving the toned legs , and read with a pleasant feeling of freshness. MAIN ACTIVE AND VEGETABLE OILS: Sweet almond oil, Olive Soap Olive Extract, Bilberry (patent n.2006A000045 of 13/07/2006), Caffeine, Escin. HOW TO USE: Apply leg gel flux least 2 times a haunting legs completely dry, especially in the evening before bedtime and in the morning upon rising. Do follow a vigorous massage from the bottom upwards. 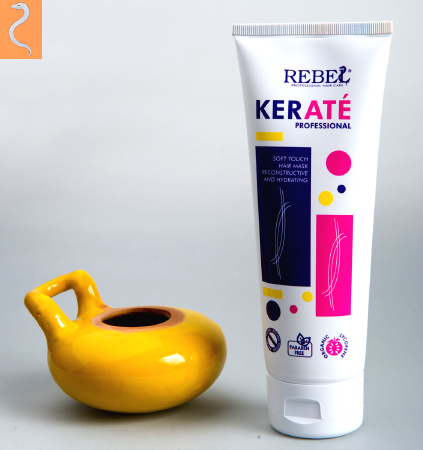 HAIR RESTRUCTURING, DELETE ELECTRICITY STATIC MOISTURISES, more elastic, reinforce, Redensifies with Lycocerosomi®, Shea Butter, Wheat Protein Keratè Soft Touch Professional is a new generation of hair mask that provides a therapeutic reconstructive, moisturizing and smoothing the hair fiber immediate. With new delivery systems and continuous release of the active ingredients deep into the hair restructuring, Keratè Professional Soft Touch is the perfect complement colors or after stressful treatments for your hair. Particularly suitable for dry hair, tattered, electrified, frizzy and split ends. The innovative system of "anchor" made Lycocerosomi® (plant ceramides that encapsulate a powerful antioxidant lycopene) allow the active ingredients to Keratè Professional Soft Touch to fixate on the hair (especially on the toes and on the sections brittle) and extend the their beneficial effect even after rinsing, bunched up and restoring the hair's structure.